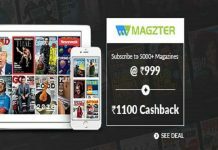 Amazon Pay Balance Offer | Load Rs 100 Cash into your Amazon Pay Balance at your DoorStep and Get upto Rs 50 back*. Offer is valid from January 1, 2019 to January 31, 2019. 2. 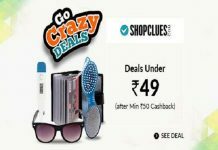 Buy any product from Amazon. 3. 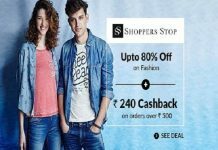 Select the ‘Cash on Delivery’ payment option. 4. Makes payment for the product in cash to Amazon’s delivery associate, at the time of delivery. 5. Now ask them to Load Cash of Rs 100 (Min. cashload) to Amazon Pay balance and he will add the money to your account. 6. Done ! 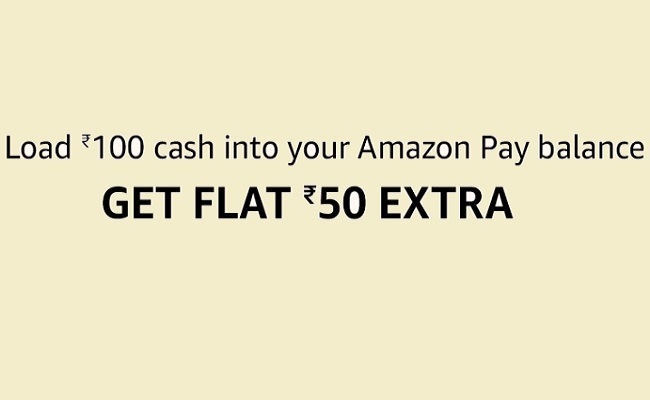 You will get Rs 50 back to your Amazon Pay balance within 7 days.